Chad from Africa region, is best know for National Parks. Discover best things to do in Chad with beautiful photos and great reviews from traveller around the world here! 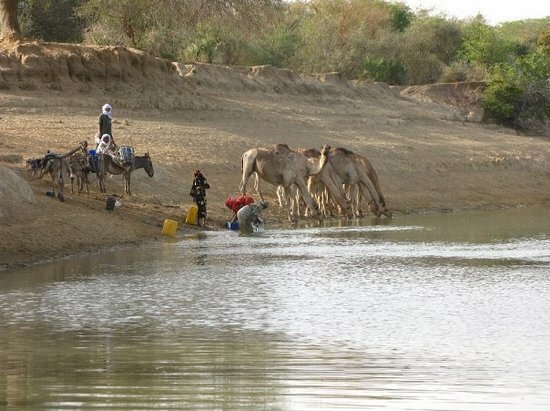 N’Djamena (/əndʒɑːˈmeɪnɑː/; French: N'Djaména; Arabic: انجمينا‎ Injamīnā) is the capital and largest city of Chad. A port on the Chari River, near the confluence with the Logone River, it directly faces the Cameroonian town of Kousséri, to which the city is connected by a bridge. It is also a special statute region, divided into 10 arrondissements. It is a regional market for livestock, salt, dates, and grains. Meat, fish and cotton processing are the chief industries, and the city continues to serve as the center of economic activity in Chad.